As I wrote in an earlier column, I see a few similarities between Costa Rica and Wisconsin, which can be summed up briefly: I see both as progressive states that are or were ahead of their peers, but troublesome changes have arrived in both places. Given that we’re in the middle of Wisconsin’s best outdoor recreation season, there’s no need to overemphasize the negative. One of the wonderful benefits of travel, however, is the perspective it always brings us, whether it’s new or simply a refocusing. Costa Rica provides an easy metaphor for this idea. You can’t have a tropical rain forest without a good bit of rain. Put another way: travelogues that are nothing but sunshine and umbrella drinks get pretty boring. Although I skipped the umbrella drinks, last week’s column on Costa Rica was all flowers, nice hotels, beautiful sunsets and laziness. 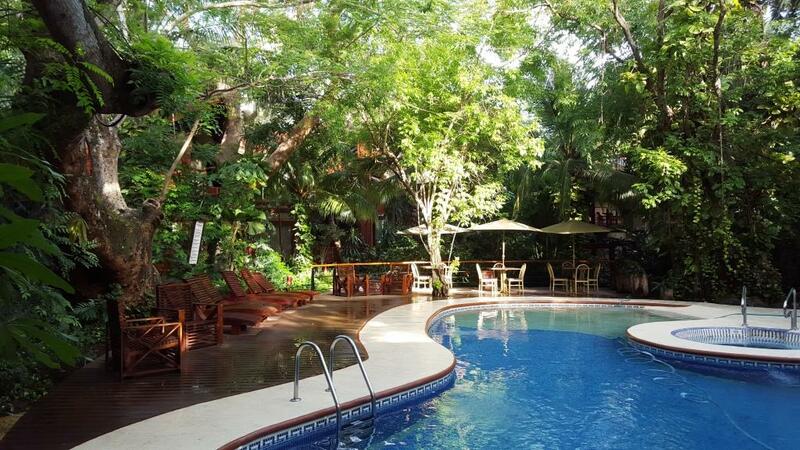 Lots of places in the world offer those things, but it’s hard to beat Costa Rica and its touristic offerings. It really is a paradise – I recommend the guaro sour at happy hour, by the way – and a number of things make it so. The country’s biodiversity is amazing for a place that is 288 miles from north to south and 170 from east to west. Possessing both Atlantic and Pacific coasts, separated primarily by volcanic mountain ranges that are part of the famed Pacific “Ring of Fire,” Costa Rica has 12 distinct life zones, ranging from tropical dry forest to different forms of tropical rain forest. It has only .03 percent of the world’s land area and almost 4 percent of its biodiversity – more than half a million species of life, according to INBio, the country’s National Biodiversity Institute. It’s also interesting for more than its nature. For a balanced, fact-based look at its development as a nation, I recommend Meg Tyler Mitchell and Scott Pentzer’s Costa Rica: A Global Studies Handbook. Despite being built extensively on coffee and banana exports for much of its early history, the country made a number of critical moves that helped it become the most economically and politically stable nation between the U.S. and Brazil. Among them were the conscious effort to encourage small landholdings, a real movement toward universal education, nationalization of banks and their economic development programs, and, in a nutshell, the growth of the region’s strongest middle class. Like Wisconsin’s, that middle class is increasingly imperiled. So is the country’s environment, despite having a very impressive quarter of its land protected in some way. I’ll leave it at that, but the relevance here is that when vacationing, I have to turn off my brain to ignore the evidence of social and natural deterioration, at least for a while each day. Frankly, that seems necessary to enjoy the very things that hasten both development and decay. The resort and other sites we visited provide good jobs for Ticos, but also contribute to the booming growth that harms the environment. On every trip back, I see more evidence of both increased riches and greater social problems; the economic gap widens daily, as it does back home. All of us need to figure out our own negotiation of that gap: how to help the world while enjoying it, how to thrive without wasting our resources. 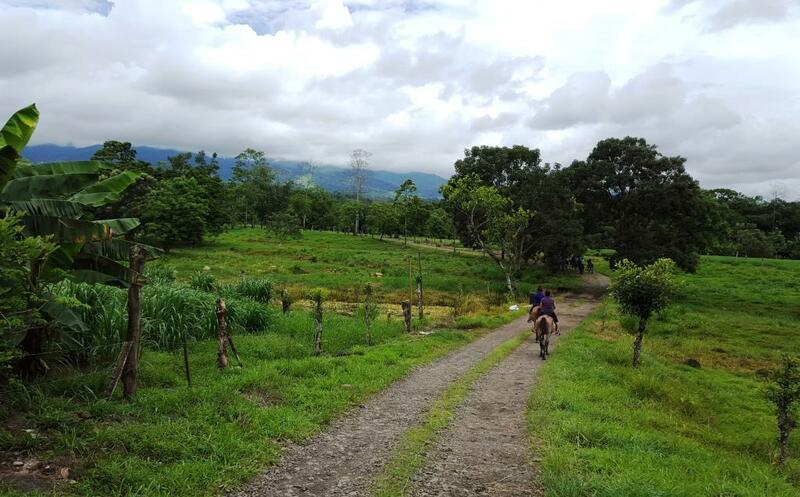 Even on a simple horseback ride like that we took on Yami’s family farm one morning, it’s easy to notice disparity. We departed from the house of one of Yami’s aunts, where a newly paved road is among the many improvements surrounding a group of homes. 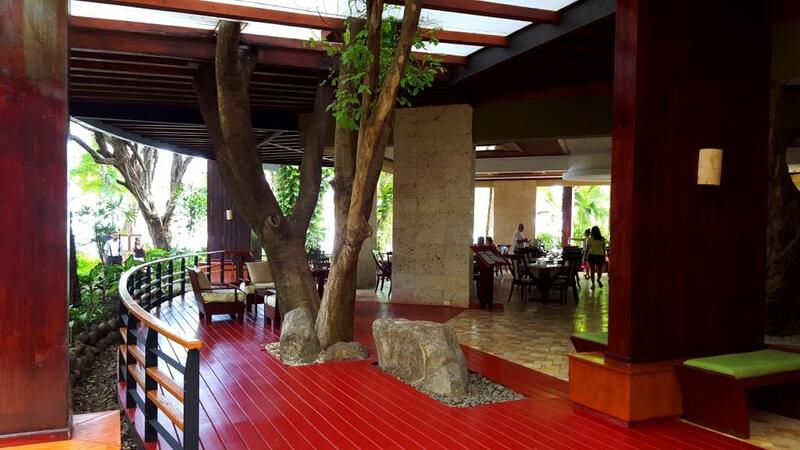 The properties are nicer virtually every time we visit, with whitewashed fences, manicured landscaping and beautiful wood-filled houses (floors, ceilings, beams, furniture – Ticos have an abundance of beautiful wood). Rotting, picturesquely hopeless, forgotten, these towns, all of them with a creek or stream running through them, were backwaters, both literally and figuratively. They could have been any small, bereft town in the Third World where mechanization had taken hold, where tractors and picking machines had overtaken handpicking on the plantations. The farther we plodded down the rocky country road from the center of the family holdings, however, the smaller and poorer many of the homes became, with open-air kitchens, muddy yards, or groups of half-dressed children crowded into hot-looking little abodes virtually without windows. At one such house, a small sofa had been pulled in front of an open doorway, apparently to keep multiple children in while letting a bit of air circulate through. 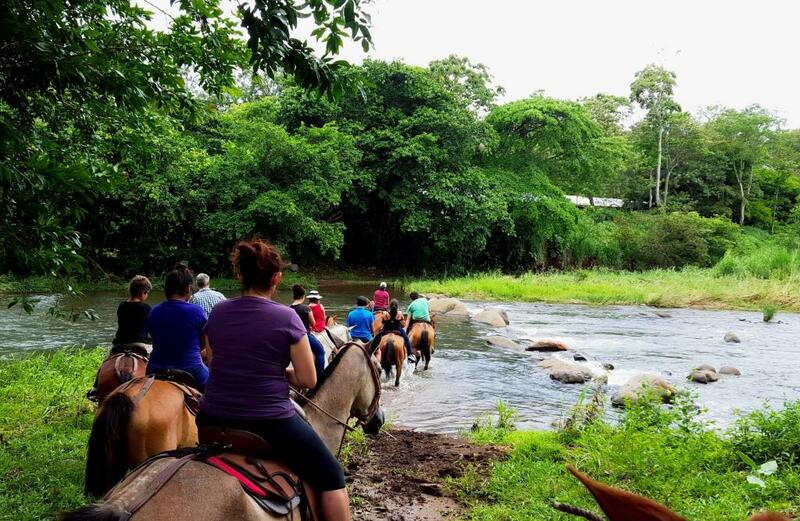 At the same time, we were able to enjoy the rushing gurgle of the Rio Guayabo next to the road and see the mountains to the south of us that separated the San Carlos Plain we were on from the Central Valley, home to the country’s capital of San José. Because Costa Rica depends on wildlife and natural beauty as selling points, it aggressively promotes sustainability and diversity. That makes it easier for tourists to support local businesses and families while still having a great time. Bird life, including toucans, is ample at the farm, which is actually a collection of properties that were divided among the 12 children of Yami’s paternal grandfather. Some of the children and many of the grandchildren have scattered, mostly to the United States, but virtually all come back frequently; in fact, we rode with a group that included in-laws from Colorado and a cousin of Yami’s from Houston. We stayed in the retirement home of Yami’s Los Angeles aunt and uncle Isabel and Alvaro Campos, a wonderful wood-and-tile-filled structure with a wraparound veranda on the second floor and a patio downstairs. 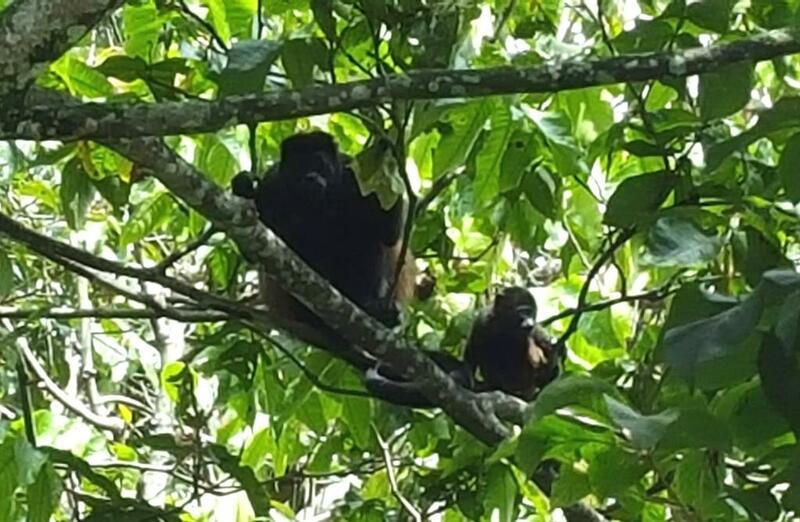 A creek burbles next to the house, and we were often awakened in the morning by the booming calls of howler monkeys. I spent as much time as possible in one of the carved wooden rockers on the porch, which was both solution and problem. It was supremely relaxing, but one of my readings was travel writer Paul Theroux’s Deep South, in which he frequently compared parts of Alabama, Mississippi and other states with the poorest Asian and African locales, writing that they were no different than many of the places to which we send foreign development aid. “Anguilla [Mississippi] … was desolate, a scattering of mobile homes at the edge of the road and bordering the plowed fields – decayed, rusted boxes, lying higgledy-piggledy with an air of disorder and desperation, like a refugee camp, which it was, in a way,” Theroux wrote in one section. My view from the veranda was better, an orderly riot of trees – orange and lime and guava among them — with a peacock strolling the grounds the leading noisemaker among a cacophony of birds. Life in the rocker, at least temporarily, was perfect, but I had to force myself not to worry too much about the houses down the road. It was just like home. This post originally appeared in the July 15, 2016, edition of The Portage County Gazette.